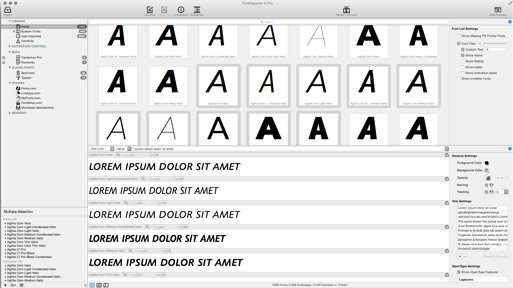 FontExplorer X® is the simple, speedy way to find and organize all of your fonts. By checking this box, you acknowledge that Monotype Imaging Inc. or its affiliated companies may send FontExplorer X product related follow-up emails to the address provided above. We may also provide your email address to Delighted, Inc. for the purpose of user surveys and Campaign Monitor for the purpose of follow-up emails. You may unsubscribe from this service at anytime. 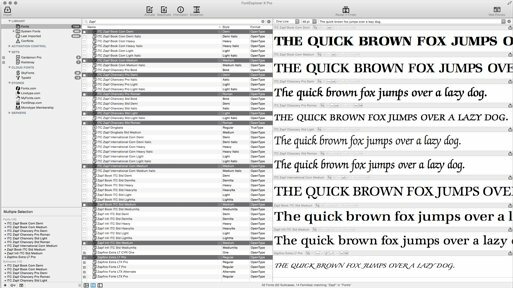 FontExplorer X Pro 6 is available for the Mac® OS X platform. The product is available for 89€/$99 to new customers. Users of previous versions can upgrade their software license for 45€/$49. 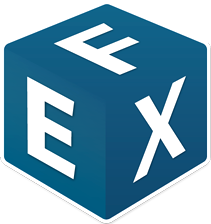 Users who purchased version 5.x on May 15, 2016, or later will receive a free software license upgrade to version 6. 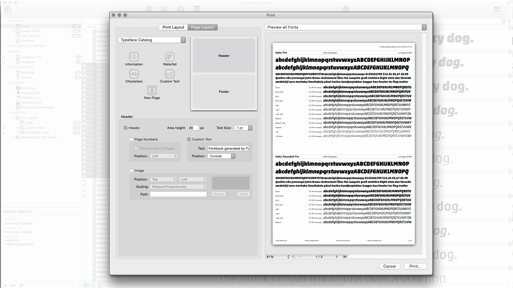 FontExplorer X Pro 6 can connect to the new FontExplorer X Server 3 as a client. 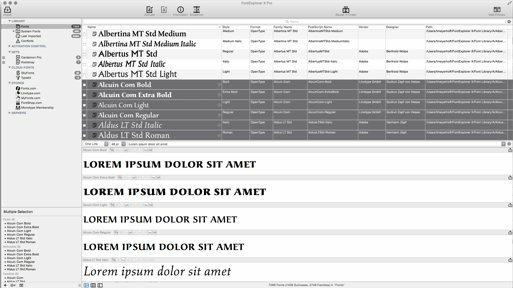 Upgrade to FontExplorer X Server 3 from all previous FontExplorer X Server versions for free. 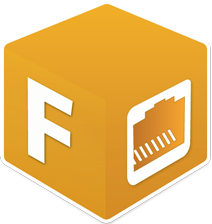 For the ultimate in font management, add the powerful network administration components of FontExplorer® X Server to your FontExplorer X Pro client solution. Powerful enough for professionals, but simple enough for everyone else. 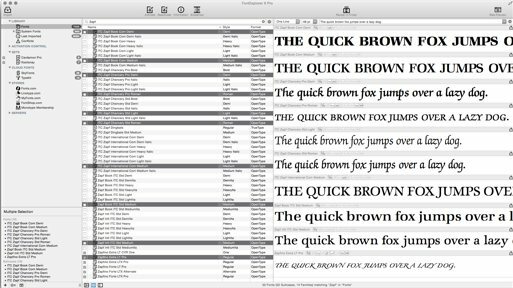 If you need a font manager, there's nothing better than FontExplorer X Pro 5.